After Vasan Bala’s MKDNH, TIFF has added two more Indian films to its lineup, this time in the Contemporary World Cinema section. Rima Das is back at TIFF’s Contemporary World Cinema section yet again with her new film Bulbul Can Sing which is having its world premiere there. Rima Das presents a visceral coming-of-age drama about a young girl living in rural India, fighting her way through love and loss as she figures out who she really is. Rima’s last film, Village Rockstars, was also premiered at TIFF. Ritu Sarin and Tenzing Sonam’s latest film The Sweet Requiem (K​yoyang Ngarmo)​​​ is having its world premiere at TIFF’s Contemporary World Cinema section. Similar to Rima Das’s previous film, Ritu Sarin and Tenzing Sonam’s debut film had also premiered at TIFF. In a follow-up to 2005’s Dreaming Lhasa, Ritu Sarin and Tenzing Sonam return with a story of a young Tibetan woman grappling with living in exile, revealing a side of the refugee crisis we rarely get to see. The film, running at 91 minutes, was one of the 19 South Asian Projects selected at the NFDC Film Bazaar 2015. Kolkata becomes Kolikata. And this avatar is for the 1st Independent Film Festival in the city. 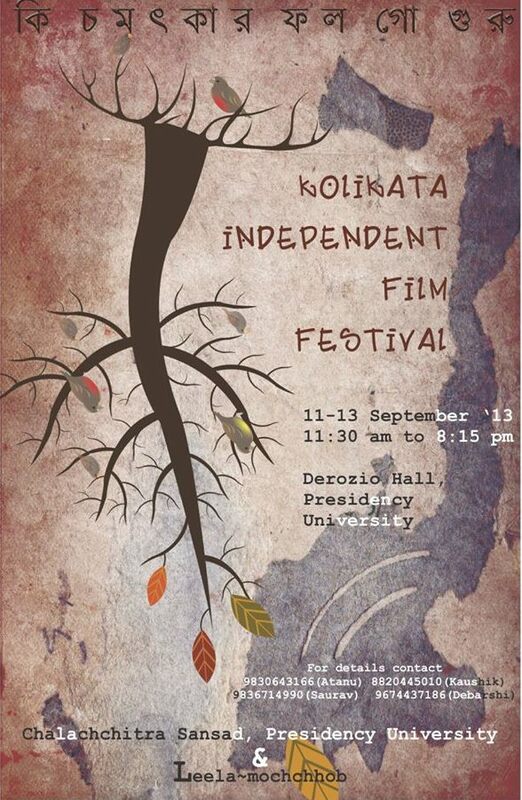 Organisers note – Kolkata (spelt intentionally here as Kolikata, like the old vernacular version of the city’s name) adds another feather to its cap, by hosting an informally, and therefore, impartially organized independent film festival – the first for any Indian city. Nationally awarded films will be screened alongwith short films made by non-film school students. The filmmakers will be interacting with both film academicians and aspiring filmmakers who are still in college. Films : Independent Short Films, Documentaries and Feature Films. Associate Partner: Guruchandali, an anti-establishment Little Magazine from Kolkata. 5:10pm: Discussion- Exploring the language of Independent Film. 1:50pm: Students’ Films (4 short films by the students of Presidency University). 2pm: Discussion- Alternative Economy & Politics of Independent Film and Power Structure. – To know more about the fest, click here to go to its FB page. The Cannes Directors’ Fortnight section unveiled its official selection list today. And there’s one Indian film in the list – Anurag Kashyap’s Ugly. His two-parter Gangs Of Wasseypur was also screened in the same section last year. An edge of the seat thriller, Ugly stars Rahul Bhatt, Tejaswini Kolhapure, Ronit Roy, Girish Kulkarni and Siddhant Kapoor. Interestingly, five films which are going to Cannes this year has some kind of connect with Kashyap or his company, AKFPL. Ari Folman’s The Congress, Amit Kumar’s Monsoon Shootout and Ritesh Batra’s The Lunchbox – these three films have been co-produced by AKFPL. And Kashyap has directed one of the shorts in Bombay Talkies which is going to have its Gala premiere at Cannes. Click here to know more about The Directors’ Fortnight section. Taj Enlighten Film Society has organised the 1st European Film Festival in Mumbai. 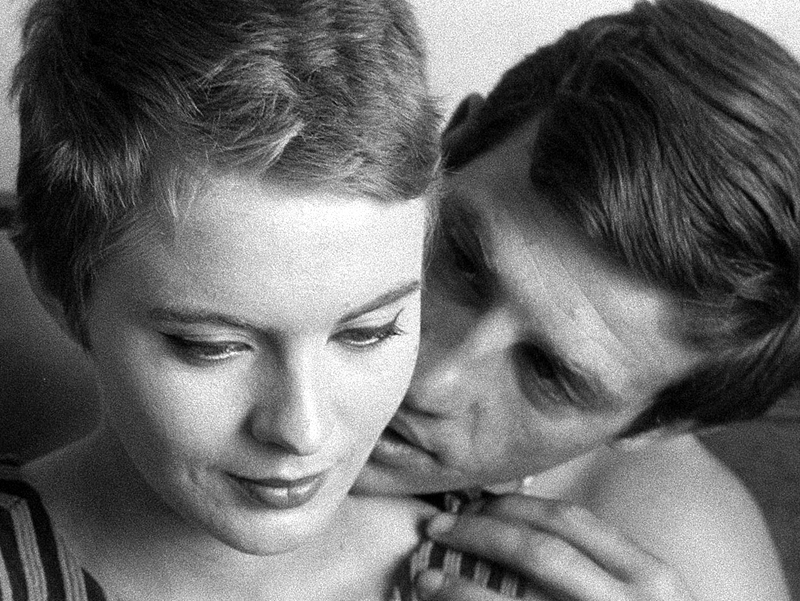 According to the official release, the festival attempts to relocate the myth-like status of European cinema by playing it to an audience much more used to the unmediated kitsch of ‘Bombay cinema.’ The selection also includes a Jean-Luc Godard retrospective and a Swiss film package. The Swiss film package has a retrospective of the Swiss master Daniel Schmid, who was also a colleague of the legendary German film maker Rainer Fassbinder. The contemporary curations include films that view Switzerland as the ‘other’ within the discourse of the European ‘self.’ Also included is a workshop by the significant Swiss-Indian film maker Kamal Musale at the World College-School of Media Studies, emphasizing the importance of documentary film practice even in conventional, narrative cinema and the importance of filming over script construction. 4th June, 2011, 4.00 PM – Workshop by Kamal Musale on documentary film making. Screening of Sound of Insects (Peter Leichti, 2009) along with works by Kamal Musale: Courrier Du Pacifique (1998) and Raclette Curry (1999). WHAT : The Kerala State Chalachitra Academy is happy to announce the 15th International Film Festival of Kerala in South India to be held from 10th -17th December 2010 in Trivandrum, the capital city of Kerala. 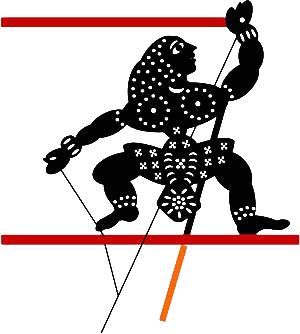 The festival is organized on behalf of the Government of Kerala and is recognised by FIAPF. RULES & REGULATIONS : For all the rules & regulations details click here. HOW : Send a preview DVD in order to consider for the Competition section/ World Section. As mentioned in the Rules and Regulations the film will be viewed by a selection committee which will advise on suitability for the festival. LAST DATE : The last date for submission is 30th September 2010. 3. Rajata Chakoram and a cash prize of Rs. 300,000/- (about $US 6,000) for the Best Debut filmmaker. The festival will pay for the freight and insurance of the 35mm Eng Subtitled print /Digi Beta (PAL)but does not pay for the freight of the preview material. If the film is selected in the competition section the Director will be invited with full hospitality. Osian Film Festival is looking for volunteers. Do read the post for more details. We have simplified it and cut out the extra gyaan. All you vella film buffs who got nothing better to do, should check this out. Who knows, you might bump into your favourite filmmaker for some chai n more! · The possibility of interacting with filmmakers, critics, writers, artists and cultural activists. How : Application Form and details about the Festival are available on Osian site. Here is the link.